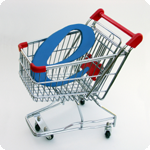 Online purchases are routine for consumers and many businesses now report online sales as a crucial to their success. We take the mystery out of how to benefit from eBusiness. We will guide you on lowering your overall expenses and keep your rates low. The Interchange pass through rates you see above are some of the most common cards used in a eCommerce environment. Cards assessed at a higher rate will be passed through at true cost with no hidden fees. For the most current Interchange chart please click the pdf link below or contact one of our Interchange experts for training.